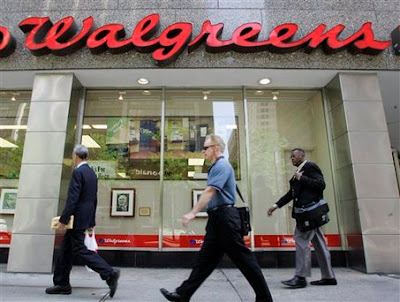 Walgreens, the nation's largest drugstore chain, has decided to embark on a new initiative that shines a much needed light on America's African-American business owners. With the introduction of their new supplier diversity initiative, Community Corner, Walgreens' customers will now be able to identify and support vendors of color in their local store. Launching during Black History Month, Walgreens will promote Black produced brands through print advertisements, in-store announcements, coupon booklets, shelf tags, in-store product demonstrations and Walgreens.com. During February, Walgreens will showcase the following African-American produced brands: African Royale Hot Six Oil, Angelica's Cakes, Bronner Brothers Pump It Up! Spritz, Evolve Purse Size Styling Brush, High Time Bump Stopper-2 Razor Bump Treatment, Jamaican Mango & Lime Locking Gel, Luster's Pink Oil Moisturizer, Mix Match Gourmet Popcorn, Organic Root Stimulator Olive Oil No-Lye Relaxer Kit, Pepsom Sports Epsom Salt, Porcelana Night Skin Lightening Cream, Reggio's Pizza, Rejuvenizer Diabetic Sock, Richard's Ice Cream, Sheenique Relaxer, Stay Smooth No-Bump Gel, Ultra Sheen Relaxer Pack, WavEnforcer Premium Do-Rag, and 2010 Black History Calendar. Six African American-owned magazines: Ebony, Black Enterprise, Jet, The Source, Sister to Sister and Upscale will also be featured.